As the 2nd worst year of my life comes to a close (2008 was obviously pretty bad too), all I can now do is wait and see what a three-judge panel for the Arizona Court of Appeals decides; and what the five justices of the Arizona Supreme Court decide; neither of which will happen until (likely) late in 2010. I plan to file a motion to consolidate both cases in the Supreme Court, since they have virtually all the same claims. The facts I was held at knifepoint in my own apartment, spit on, and extorted for money , which forced me to protect myself with my gun, no longer even matter (more on that later). But three realities make this whole saga impossibly difficult: the law and U.S. Constitution mean nothing in Arizona; my pro se energy is running extremely low; and this State, like most others, treat you like a leper when you decide to represent yourself in criminal cases. I can only hope after spending 1000+ hours in the ASU law library in the past nine months, and countless more hours in Maricopa County’s records department, the appeals court judges have at least some integrity. I’m going to make this as elementary as possible, so even those of you who’ve never read a court document or know nothing about the law will be able to easily understand why I believe this “felony conviction” Maricopa County and pansy Andy Thomas handed me back on March 30 should be reversed and dismissed by the higher courts. But again, this is Arizona and the law means very little. Though I first filed a petition for federal habeas corpus, the U.S. District Judge denied the petition, ruling I must first exhaust all state remedies before a federal court can review the persecution. I then had to file one of those useless, retarded, waste of time Rule 32 Petitions For Post-Conviction Relief in the Maricopa County Superior Court on July 13. I knew it would be a charade, but in order to move the case to a higher (and hopefully honorable) court, I first had to endure this crap. 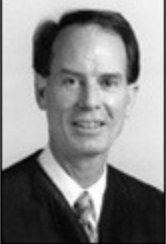 It got to the point of being such a juvenile clown show, led by Maricopa County judges Gary Donahoe, Teresa Sanders, and Emmet Ronan, I had to file a Petition for Special Action in the Arizona Court of Appeals just to get these judges to follow the law. Arizona Rule Of Criminal Procedure 32.6(c), along with the corresponding state statute – A.R.S. 13-4236 – plainly and clearly says, “The court shall review the petition within twenty days after the defendant’s reply was due.” The Constitution of Arizona, Article 2 § 11 also states, “Justice in all cases shall be administered openly, and without unnecessary delay.” The Maricopa County court, by law, had to decide on the post-conviction petition by September 1, which never happened. The public record is easily accessible online. I filed the special action on September 14, two weeks after the trial court was supposed to have already decided post-conviction relief. The clown show went into full effect once notice of special action was filed and served on Maricopa County judges Donahoe, Sanders, David K. Udall, and Ronan. The same day I noticed Maricopa County of special action in the appeals court because of their malfeasance, Donahoe immediately ordered Sanders to adjudicate the case. He also lied and said I wanted the case decided without the benefit of transcripts. Maricopa County (“the State”), via prosecutor Lisa Marie Martin, responded on September 22 to the special action, and believe it or not, their primary argument against my claims was because I was “not courteous” to them. Read it yourself (State’s Response to Petition for Special Action) in the conclusion of their response. One day later, on September 23, Sanders summarily dismissed the post-conviction petition, ruling I “failed to state any colorable claims.” A few days after I filed a reply to the State’s response to the special action, the Court of Appeals declined to accept special action jurisdiction , thus dismissing the special action. Though I was, again, disappointed that the law failed me, again, the special action served its primary purpose; which was to get the case out of the ever-so-corrupt Maricopa County courts. Almost immediately thereafter, on October 8, I filed a Petition For Review (appeal), again, in the Arizona Court of Appeals, regarding Sanders’ summary dismissal of the post-conviction petition in the lower court. Five days later, I filed a Petition for Review in the Arizona Supreme Court, regarding the appeals court’s dismissal of the special action. I even filed a motion for reconsideration of habeas corpus in the U.S. District Court, but it was denied. The Court ruled I must file a new petition. I’ll wait to do that, if necessary, after the Arizona high courts rule on the present petitions. Though I won’t go over each and every claim, there are three specific ones that I believe an elementary school drop-out could read the law, see what happened, and reverse the conviction. a. Form of Motion. A continuance of a trial may be granted on the motion of a party. Any motion must be in writing and state with specificity the reason(s) justifying the continuance. A continuance of any trial date shall be granted only upon a showing that extraordinary circumstances exist and that delay is indispensable to the interests of justice. A continuance may be granted only for so long as is necessary to serve the interests of justice. In ruling on a motion for continuance, the court shall consider the rights of the defendant and any victim to a speedy disposition of the case. If a continuance is granted, the court shall state the specific reasons for the continuance on the record. 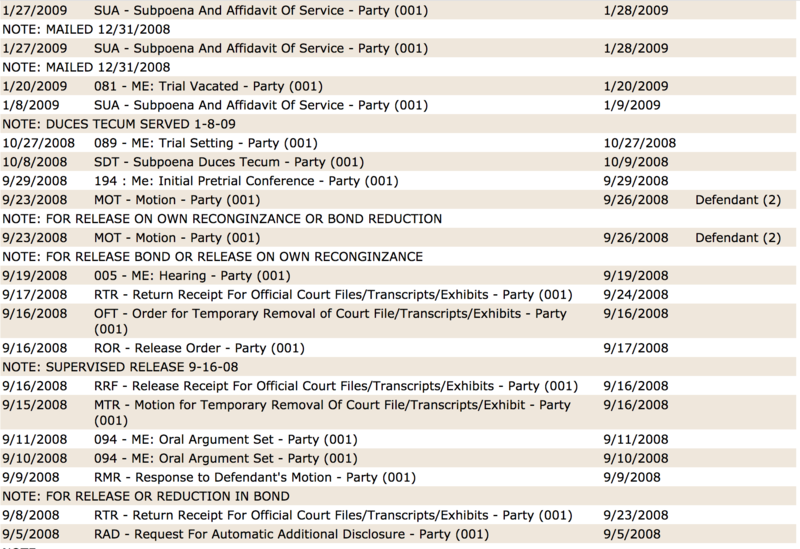 Again, you can look at the entire record for yourself, but here is a screenshot of all filing in the case from September 16, 2008 (when I was released from jail), until the day my trial was supposed to happen. As you can see, between October 27, 2008 and January 20, 2009 (the day trial was supposed to take place), only one entry was filed in the case: a subpoena to Sprint Communications for my text message records, which public defender Michael Ziemba (more on him later) had to re-serve on Sprint after the October 8 one because he gave them a completely wrong phone number (in other words, “my lawyer” didn’t even know my phone number). So clearly and unequivocally, no written motion was filed by the State or Ziemba to vacate (continue) the trial. And since there was no motion filed, the court obviously could not and cannot satisfy the second part of Rule 8.5 either: that extraordinary circumstances must be presented on the record as to why the trial was vacated. “Judge” Emmet Ronan simply took my Sixth Amendment right to trial away from me…period. Ronan did this for his friend, Maricopa County prosecutor Lynn Krabbe. Ronan and Krabbe both recognized that if the matter went to trial, I would be acquitted. 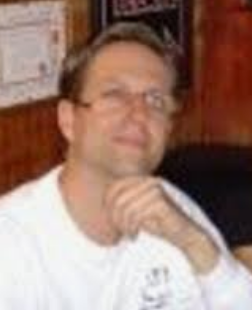 The State’s alleged “victim,” Michael Arthur Wood, was on probation for counterfeiting money the night he tried to rob me in my own apartment (July 22, 2008), extort me for money (proven by text messages), choked me and spit in my face, all while I had a broken right hand not able to defend myself. The Tempe Police simply covered this all up…which would have easily been exposed at trial. So how did my alleged “lawyer” at the time, Ziemba, let this happen? First and foremost, anyone reading this who has this douche for a lawyer should immediately file a motion for new counsel. From what I understand, this guy now handles death penalty cases, so the State of Arizona will likely be executing more people than ever with this guy as the murder defendants’ attorney. Ziemba was, coincidentally or otherwise, promoted to his new, higher paying position in death penalty cases right after my trial was unlawfully revoked. Any reasonable person would assume that an attorney who believes his client is facing the same sentence whether he loses at trial or signs a plea agreement, would want to take his chances at acquittal of his client. This is not how Ziemba thinks. 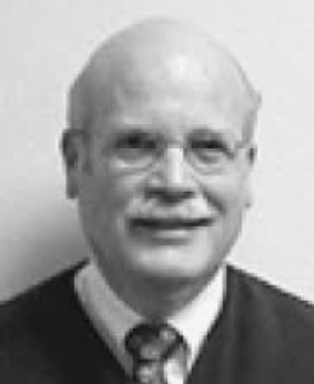 At the January 12, 2009 hearing when my trial was unlawfully revoked, Ziemba began and continued threatening me, saying I would go to prison if this matter went to trial. He also refused to file a special action in the Court of Appeals to get the case dismissed back in February, once the time limits which guarantee me a speedy trial expired. It should also be noted that the plea agreement I was ultimately forced to sign on March 2, 2009, expired more than four months earlier, on October 22, 2008. Said plea could not be legally re-instated for judgment, and is thus void, but that did not matter to Sanders, who sentenced me anyway. The other public defender I had, David Allen Brown, did not even bother showing up for my arraignment hearing on August 11, 2008, which is also a Sixth Amendment violation. 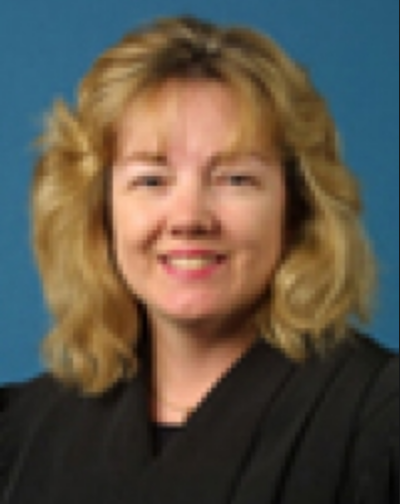 I was also told by Jeanne Hyler, the human resource director for the Maricopa County Public Defender’s Office, that Brown was the attorney of record in 2500+ cases between January 2008 – June 2009. Guess maybe that is why he failed to show up for my arraignment or answer any of my phone calls while I was in jail. The final claim I will present here is the blatant lying and fabrication of evidence by prosecutor Lynn Krabbe, a Fourteenth Amendment violation. First, Krabbe conjured up a “prior criminal history” for me, saying I had been arrested and convicted of fraud for a crime that happened in 2004. I apparently committed this crime in Arizona, even though I was living in Iowa at the time and hadn’t been in Arizona since 1999. Krabbe then said there were “multiple victims” in the alleged crimes I allegedly committed on the night I was arrested. This allegation by Krabbe changed the charges against me to “dangerous felonies,” which require longer prison sentences. Though the only victim in this whole ordeal is myself, the report from the Tempe Police clearly and unequivocally says there was only one alleged victim. The State of Arizona ultimately admitted that there was NO VICTIM on March 8, 2010 (note: the “no victim” declaration is near the bottom of the linked probation discharge order). And now, all I can do is wait. But I must say I’ve lost virtually all faith in what is supposed to be “the law” and the U.S. Constitution. I will already have served the sentence (probation) as a result of this persecution, even if the appeals courts reverse. Sure it will make for more claims on my already filed and pending civil suits, but I cannot get back these lost years of life. From July 22-September 17, 2008, I was in a Maricopa County Jail. Since then, I briefly lived in my own apartment until eviction (because I cannot get employment); and have since lived in my car, under bridges, in the ASU libraries, and on several people’s couches. I was supposed to graduate from Arizona State in December 2008 with my bachelor’s in journalism and history…that seems like so long ago. and now have even more motivation and desire to do so, in order to help others who are going through the same thing. But if the law is the charade I’ve seen that only works for the rich, there is no use in this. Ultimately, I can only blame myself for all this because I allowed a troubled neighbor who was a crackhead into my life. Before all this, I used to try and extract the inevitable good I used to believe was in all people. But the sad truth is that evil is a real and formidable reality, be it from government or regular people. I’ll continue to write about others similarly situated and police state policies here in our country at least until the end of next year. After that, it’s no longer in my hands.